I know how it feels when the lights that should work are not working and the lights that you don't want(check engine light, SRS, ABS) are all flashing at you. I didn't even know there were lights in the ashtray, cigarette lighter, gear selector in the center console till i opened it up to check the radio connections and saw wires and bulbs. 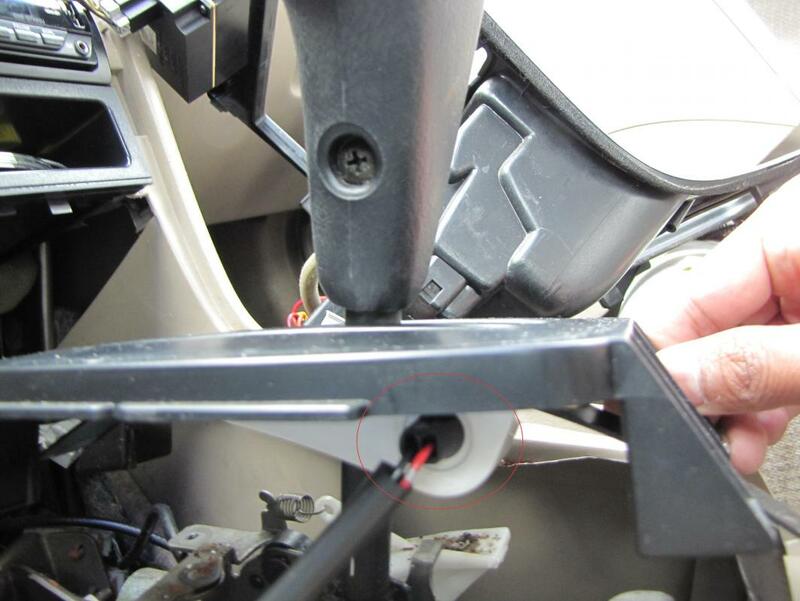 Here is a little DIY to change the bulbs on the center console of 5th Gen accords. I am going to give only the steps to take the console out because there is a ton of instructions with pictures everywhere about it on replacing the radio. Park the car, pull up the hand brake. Disconnect the -ve battery terminal(get the radio code if you are using stock radio). Open the arm rest console, remove all the junk in there. 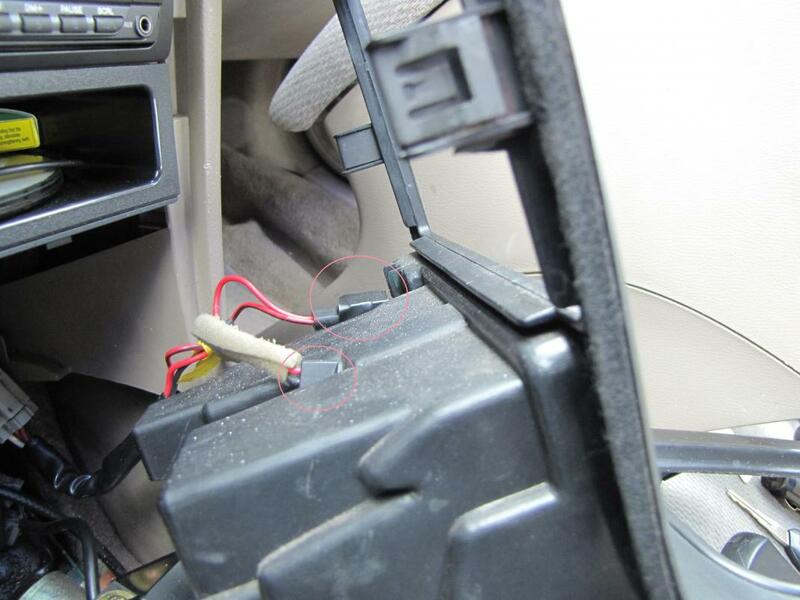 Pry out a plastic flap inside the armrest console with a flat head screw driver. You will see two screws, unscrew them. Advice, use magnetic screw drivers. I kept on dropping the screws all the time. Once the screw are out, pull the console a little backwards, it should unclip from the remaining center console. Mine was already loose, so it came out very easily. Remove the Arm rest console by lifting it and getting it out of the hand brake lever. Unscrew two screws at the edge of the shifter which was covered with the cup holder before removing the armrest unit. 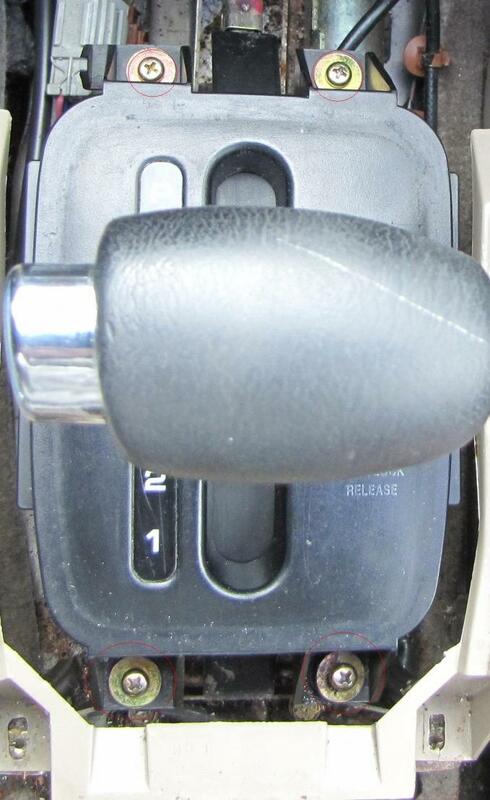 Remove the ashtray and you will see a screw holding the center console. Unscrew that too. Now, pull up and gently pry out the the center console plastic surrounding. Don't pull too hard, you don't want to break any cables that are connected to clock, hazard, astray lights and lighter. The plastic surrounding will come off along with the clock, hazard light, astray and cigarette lighter assembly. Use the latches to disconnect the clock, hazard and astray connections. Disassembling the transmission select cover(I am not sure what its called). Remove four screws on all four corners of the plastic plate where the P R N D4 D3 D2 D1 are mentioned. You do not need to remove the shift ****, just lifting the plastic piece a little will give you access to the bulb. Lift the plastic piece, on the drivers side you will see cables going into the plastic plate. Its the bulb, hold and twist it in counter-clock direction, the bulb should come out. Check the bulb, I am sure the filament is broken. Just pull the bulb out straight( I had a hard time on figuring out how to get that bulb out, and ultimately decided to pull it straight). Replace with LED, colored or regular bulb. ( I cant recall the specs on the bulb, but if you take it to the auto store they will give you the replacement right away, well you can go buy the different color ones online too, your choice). You might want to test the bulb by connecting the battery cables back and turning on the headlights if you are not sure it is working or not. Push the new bulb in and put the bulb assembly back inside the plastic plate by twisting the bulb assembly clock-wise. Hold it, don't screw it back, Just clean out everything from the well before you put it back in place. Mine was filthy, I even found a pen there, I have no idea how a pen got in there. Once you clean the dirty little place, put the plastic plate back in place and screw it back in place. Your transmission selector light is ready. On the back side of the center console we removed, check for the cables that goes to the ashtray and cigarette lighter . Hold the bulb assembly in the ashtray and turn it in counter-clock direction, the bulb assembly should come out. Replace the bulb as mentioned above. Test it, Put it back in the reverse order. 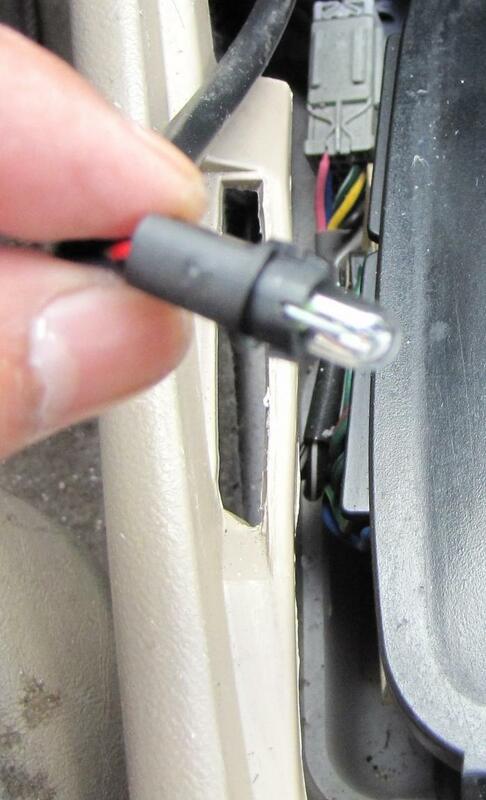 Trace the cable going to the top of the cigarette lighter on the back side of the center console we removed. Pull the little plastic cover back, the bulb assembly should slide out. Note: you can replace the clock bulbs in the same way as well. Reassemble everything in reverse order and you are all set, with wanted (or unwanted) lights ON now. PS: the center console lights are connected to headlights, so they will only work when you have the park light or headlights ON. this is awesome. So how many pieces of LED bulbs do you need? I am thinking about getting mine changed too. 3 LED or regular bulbs(1 each) for ashtray, lighter and transmission selector. If you want to change the other bulbs in the center console, it should be one each for every component.